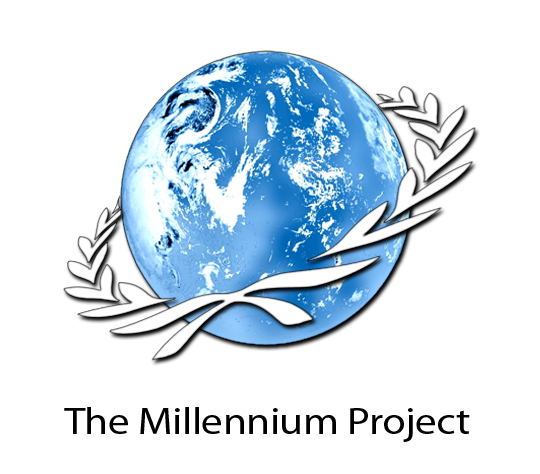 The Millennium Project was founded in 1996 as a global participatory think tank after a three-year feasibility study under the United Nations University in cooperation with the Smithsonian Institution and The Futures Group with funding from US EPA, UNDP, and UNESCO. It is now an independent 501C3 US corporation since 2009. It has created systems for people to think together about the future in an organized, trans-institutional, and accumulative way via 64 Nodes around the world (groups of institutions and individuals that connect local thought leaders with global research) using Real-Time Delphi software and the Global Futures Intelligence System to produce 19 State of the Future reports since 1997 with 15 Global Challenges that provide a framework for understanding and tracking global change. It also produces the annual global State of the Future Index (SOFI) since 2000 with 30 variables selected and weighted by experts selected by the Nodes around the world and has also produced several national SOFIs. Its Futures Research Methodology 3.0 is the largest internationally peer-reviewed collection of methods to explore the future ever assembled with 37 Methods, 39 Chapters, 1,300 pages updated online. Bringing it all together into a common platform is the Global Futures Intelligence System <themp.org>. It is listed among the top think tanks in the world by the UPenn Go To Think Tank Index, received the "2018 Most Signficane Future Work Award" by the Association of Professional Futures, and Computerworld Honors Laureate for its contributions to collective intelligence systems.